By the Managing Editor, The Global Calcuttan with inputs from Staff. It is a scene, we have come to know all too well: A masked man, cowardly bravado disguised in black, brandishing a blade, accusing America of being responsible for what is about to happen while his captive kneels hands bound, forced to make a confession – and then, the unthinkable occurs, the body is shown lifeless, blood draining from it, the severed head placed horrifically on the decollated corpse. This form of execution, medieval and bloodthirsty – a fate that seems unimaginable in 2014 – recently befell Americans Steven Sotloff (whose public memorial was held Friday) and James Foley not long before, this in the deep of the desert somewhere in the now borderless area of Iraq and Syria held by Jihadists from The Islamic State (formerly ISIS). 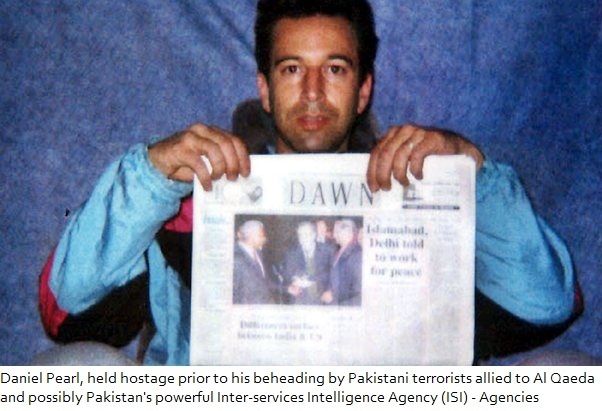 Around fourteen years back, Wall Street Journal reporter, Daniel Pearl, suffered the same fate. His headless remains were found not far from the teeming metropolis of Karachi in Pakistan. There are countless others, who were killed in the interim – too many to list here. In fact since Pearl’s murder, no less than 1,100 journalists and media staff have been killed while on duty, according to the International Federation of Journalists. Kidnappings have more than doubled over the past two years with 38 taking place in 2012 and 87 in 2013. Seventy one Journalists were killed on duty in 2013, and the death toll as of now has reached 80 in 2014 with nearly four months left in the year. The trend is grim if not chilling. We select a few examples from the exhaustive list to illustrate the ways in which those who try to bring the inconvenient truths to the public are fast becoming the second casualty of war. The killer of Sotloff and Foley allegedly did so on behalf of The Islamic State (formerly the Islamic State of Iraq and Syria/ISIS or the Islamic State for Iraq and the Levant/ISIL – the Levant being an antiquated name for Syria and Lebanon) comprised of thousands of mainly fanatical volunteers fighting to bring about a medieval form of Islamic governance to large swaths of land in the Middle East. They are kidnapping journalists and other civilians for profit or to use as propaganda tools before being executed. These terrorists have kidnapped mainly Europeans for profit, and most recently have demanded $6M for return of a 26 year old female American aid worker (they had demanded 100 million Euros for the return of James Foley). While it is US policy not to negotiate with terrorists, though one can question its application (remember the arms for hostages deal with Iran, and efforts to negotiate with ‘moderate’ Taliban mediated by Pakistan?) European governments do pay for the return of their citizens. It is a profitable industry for the Islamic State, which also shakes down businesses, and smuggles oil to make what some experts estimate to be US $1 Million/day. But the decapitation videos serve another purpose: propaganda. As most of us, the world over, were stunned by the horrific video of the beheadings, others celebrated, their cries of jubilation drowning out the shouts of outrage in their own communities. Some experts have said that the ransom demand for Foley was so outrageously high that it was never the intention of the terrorists to return the journalist safely; they were all too happy to produce their propaganda video, serving up his head to their supporters at the end as their coup de grâce to American foreign policy. Striking terror in so brutal a manner is the key tactic of young angry anti-social Islam. And, it plays well to the gallery, so much so, it is expected that recruitment will increase in the wake of these gruesome crimes. But the rationale runs deeper. In reviewing the reporting of Foley and Sotloff, one finds that these journalists were dedicated to bringing a thorough understanding of the people of Islamic societies to their countrymen, a portrayal that is relatable rather than alien to the collective consciousness in America. Stopping such reporting serves the agenda of those who wish to see the world as a conflict of extremisms. When I told my Egyptian friend Ahmad Kamal that I wanted to go to the Muslim Brotherhood protest camp in Nasser City, a pallid look gripped him. “Don’t go there!” he pleaded. “They are fanatics who hate foreigners. Americans like you are in danger there.” After an hour of fruitless conversation over endless glasses of sweet tea, I rose, shook Ahmad’s hand, and headed straight to the lair where he believed I would be devoured. But when I arrived at Nasser City, the picture Ahmad painted of long-bearded, club-wielding extremists bent on roughing up secular Egyptians was just as devoid of truth [as] so much else in this divided country. Coups depicted as revolutions, peaceful protesters painted as fanatics, and disgruntled citizens hailed as revolutionaries have transformed Egypt into a circus where the main attraction is the uncertainty of heading into the unknown. Aleppo, a city of about 3 million people, was once the financial heart of Syria. As it continues to deteriorate, many civilians here are losing patience with the increasingly violent and unrecognizable opposition — one that is hampered by infighting and a lack of structure, and deeply infiltrated by both foreign fighters and terrorist groups. The rebels in Aleppo are predominantly from the countryside, further alienating them from the urban crowd that once lived here peacefully, in relative economic comfort and with little interference from the authoritarian government of President Bashar al-Assad. Most analysts, including BBC North America Bureau Chief, Paul Danahar, consider Iraq to be broken (for more see (US spent trillions and left Iraq in violent pieces). Ten years after the US invaded, Democracy Now lamented the pieces left behind (see Ten Years Later, U.S. Has Left Iraq with Mass Displacement & Epidemic of Birth Defects, Cancers). In Iraq, the US was successful at toppling Saddam Hussein, invading within two years of of 9/11, though Hussein’s regime had nothing to do with the September 11, 2001 terrorist attacks – and were avowed enemies of its perpetrators, the terrorist network, Al Qaeda. While attacking the Taliban, who had harboured and enabled those behind 9/11 to carry-out the attack, seems to be a reasonable action in defence of the homeland, the US invasion of Iraq is wholly unjustified. It was illegal under International Law, though the US does not recognize the Hague’s legal legitimacy. And, that no weapons of mass destruction were found long after the invasion, indicates that Iraq was not a threat to the United States. In fact, the invasion of Iraq, a sovereign nation, which had committed no recent aggressions against anyone, on ‘pre-emptive’ grounds, echoed Hitler’s logic for invading Poland, and resulted in hundreds of thousands of deaths, many of them, civilians (this is an unofficial estimate as the US-led coalition purposely refrained from counting the dead). The unprovoked aggression of such a massive scale caused Al Qaeda to gain a foothold in Iraq, led by Abu Musab Al Zarqawi to resist the US-led invasion. Thus the aim of fighting Al Qaeda in Iraq where previously the terrorist organization was virtually non-existent, became a compelling self-fulfilling prophecy of the Bush administration, and their dark enduring legacy. 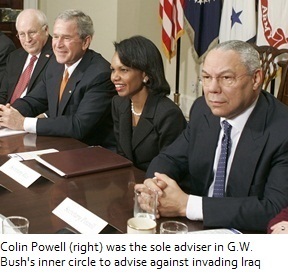 Many blame the radicalization of the region on the Bush Administration’s Middle East policies. Even The American Conservative, once an apologist G.W. Bush’s failed policies says that US Policies have facilitated the rise of The Islamic State. “George W. Bush held out the promise of a peaceful Mesopotamian democracy as a magnet for all Arab nations. What we produced is a broken land awash in blood, a country severed by tribe and faith: a Kurdish north, Shia south and a Sunni west controlled by the savages of an ‘Islamic State’ even al-Qaeda hates and fears… We are the enablers of the Islamic State,” writes Patrick Buchanan, in his article “How to Defeat the Islamic State“. According to the influential political analyst and former Republican Presidential candidate, radical Islamists “have gained the upper hand” in Libya, Iraq and in northern and eastern Syria due to the irresponsible foreign policy conducted by Washington in the Middle East. “In all three countries, the United States, which claimed to be battling dictatorship to bring democracy, helped to create the power vacuum these Islamists have moved in to fill,” Buchanan states. Since the very beginning of the standoff in Syria, Washington has been supporting the so-called Syrian opposition fighting President Bashar al-Assad, which included not only Arab and Western militants, but also radical jihadi groups. The White House was turning a blind eye to the Sunni extremists’ private sponsors from Saudi Arabia, Kuwait and Qatar, who have been providing them with military and financial aid. The Islamic State is sophisticated enough to recognize that reporting, which either seeks to build bridges between Islam and the West (as in Sotloff’s) or depicts complex situation on the ground in which the anti-Assad rebels are not unanimously supported as illustrated by Foley, is dangerous to their cause. Silencing such voices is in keeping with their Mafia-like practice of exterminating all enemies. Moreover, they may be hoping to engage the US directly in their fight as it would help mitigate the damage caused by Al Qaeda’s repudiation of them. By doing so, they would be able to say they are battling ‘The Great Satan’, which would certainly help to legitimize their actions in the eyes of a greater proportion of Muslims. His flippancy must have angered ISIS at not being taken seriously. Today, US policy makers are debating whether to directly engage the terrorists. If the US intensifies airstrikes and/or puts groups on the ground, then the bloodcurdling tactic of beheading will have proved chillingly effective. In the case of Pearl, his murder in 2002 may well have been sanctioned by the Pakistan spy agency, the agency for Inter-Services Intelligence (ISI). He had started out by working on a story about links between Al Qaeda and shoe-bomber Richard Reid but this developed into a wider investigation of links between the agency and Al Qaeda, including how the ISI let ‘banned’ terrorist groups in Pakistan operate either under new names or in ‘closed’ offices. He was also probing the authenticity of a story broken by The Times of India linking former ISI chief Mahmoud Ahmed to a wire transfer of funds of $100,000 to Muhammed Atta, the tactical planner for the 9/11 attacks, also one of the hijackers just prior to the attacks. Revelations of Pakistan’s complicity in 9/11 would have undermined this relationship and put in jeopardy the pipeline of billions of dollars from the USA being received by Pakistan to prop up its military dictatorship government and help ‘fight the war on terror’. It might well have led to American pressure to dismantle the ISI, even demilitarization of Pakistan. Instead, Pearl was silenced barbarically, his head severed on a video, facilitating an outcome that could not be more different. Today, the people of Pakistan remain caught between its military and militants, at times not knowing who is whom. While no conclusive proof is available that Pearl’s execution was sanctioned or ordered by the ISI, a casual remark by Musharraf in March, 2002 at a press conference, that Pearl was “over-involved,” over-intrusive in areas he shouldn’t have been, is revealing. Adding to the intrigue, is the fact that Pearl’s alleged executioner, Omar Syed Sheikh, previously convicted for kidnapping Westerners in India, was known to be an ISI asset. Experts say that the way he was taken into custody is telling: He surrendered voluntarily to an ex-ISI agent, possibly his handler, and was only turned over to Karachi police a week later. He was never allowed to be questioned by American authorities despite the victim of the crime being a prominent American journalist, and when the US asked for him to be tried in their courts, Musharraf’s reply was consistently insincere, “I’d rather hang him myself,” he would insist, repeatedly. Fourteen years after his arrest, Sheikh’s death sentence by the Pakistani legal system has been stayed thirty times. And, in an absurdly ironic twist, new charges have been added to ‘punish’ the condemned man for attempting suicide this past February. But no knew facts have come to light regarding the ISI’s involvement in 9/11. The story seems to have died with Daniel Pearl. Amnesty International calls the country the deadliest place to be a journalist. This comes three years after the abduction and murder of Pakistani investigative journalist Saleem Shahzad who was widely believed to have been executed by the ISI. Despite the Obama administration, saying, according to the New York Times, that it had intelligence implicating senior officials of the ISI Shahzad’s death, calls for an investigation into the ISI and their possible involvement in the murder have gone unheeded. 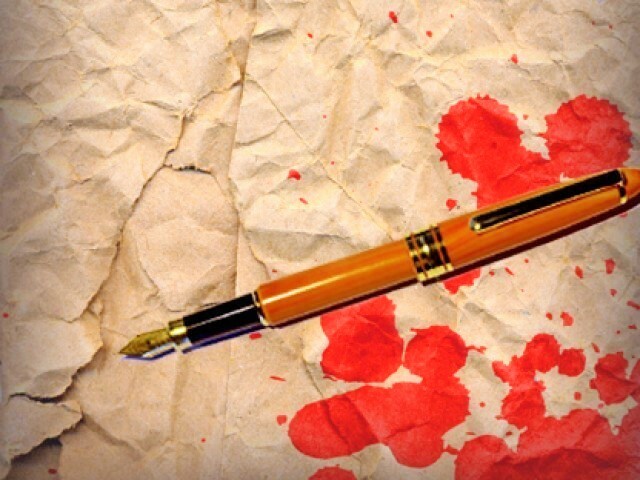 What has not stopped is the killing of journalists in Pakistan, including most recently an incident in which Gunmen barged into the office of Online News Agency in Quetta and killed its Bureau Chief Irshad Mastoi, reporter Abdul Rasool and accountant Muhammad Younas on August 28th. If the US government is guilty of ambivalence towards Pearl’s execution, they have been accused much worse, including actively targeting journalists who made independent reports during Gulf War II. At the time, the US military offered to ‘embed’ journalists with US-led coalition troops to demonstrate their apparent willingness to allow coverage of the war. However, many consider the resulting coverage to be tinged with bias as the embedded journalists owed their lives to coalition soldiers, making it difficult to write critically about them. Other journalists, unilateralist or non-embeds they were called, were warned that US-led coalition forces were not responsible for their safety. How could they know that they would be targeted by those allegedly fighting for freedom and democracy? In the most glaring account of an execution, independent ITN journalist, Terry Lloyd was found by a British coroner to have been executed by US troops having been shot at point blank range in the head. 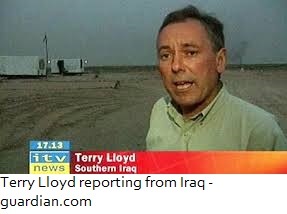 Lloyd’s interpreter was also killed and his cameraman is missing believed dead following the incident, which took place near Basra in March 2003. The National Union of Journalists (NUJ) said the killing was a “war crime” and this was echoed by Lloyd’s widow, Lyn. In a statement she said: “This was a very serious war crime, how else can firing on a vehicle in these circumstances be interpreted? A spokesman for the US Department of Defense said an investigation in May 2003 had found that US forces followed the rules of engagement.”The Department of Defense has never deliberately targeted non-combatants, including journalists,” he said. Such statements would be laughable if they were not so Orwellian. Another case in point: In 2003, a U.S. tank fired an explosive shell at the Palestine Hotel, where most non-embedded international reporters in Baghdad were based. Two journalists, Taras Protsyuk of the British news agency Reuters and Jose Couso of the Spanish network Telecino, were killed; three other journalists were injured. The tank, which was parked nearby, appeared to carefully select its target, according to journalists in the hotel, raising and aiming its gun turret some two minutes before firing a single shell. Journalists who witnessed the attack unequivocally rejected Pentagon claims that the tank had been fired on from the hotel. “I never heard a single shot coming from any of the area around here, certainly not from the hotel,” David Chater of British Sky TV told Reuters (4/8/03). Footage shot by French TV recorded quiet in the area immediately before the attack (London Independent, 4/9/03). On the same day, the US military had launched separate but near-simultaneous attacks on the Baghdad offices of Al Jazeera and Abu Dhabi TV, two Arabic-language news networks that were broadcasting graphic footage of the human cost of the war. Both outlets had informed the Pentagon of their exact locations, according to a statement from the Committee to Protect Journalists. As with the hotel attack, Pentagon officials claimed that U.S. forces had come under fire from the press offices, charges that were rejected by the targeted reporters. The airstrike against Al Jazeera killed one of the channel’s main correspondents in Iraq, Tareq Ayoub, and injured another journalist, prompting Al Jazeera to try to pull its remaining reporters out of Baghdad for fear of their safety (BBC, 4/9/03). Personnel at Abu Dhabi TV escaped injury from an attack with small-arms fire. Al Jazeera, which the Bush administration had criticized repeatedly including most significantly for airing footage US POWs, was attacked several times by U.S. and British forces during the war in Iraq. Its offices in Basra were shelled on April 2, 2003 and its camera crew in that city fired on by British tanks on March 29, 2003. A car clearly marked as belonging to Al Jazeera was shot at by U.S. soldiers on April 7 (Reporters Without Borders, 4/8/03). International journalists and press freedom groups condemned the U.S. attacks on the press corps in Baghdad. “We can only conclude that the U.S. Army deliberately and without warning targeted journalists” Reporters Without Borders declared (4/8/03). “We believe these attacks violate the Geneva Conventions,” wrote the Committee to Protect Journalists in a letter to Defense Secretary Donald Rumsfeld (4/8/03), referring to the protection journalists receive under the laws of war. 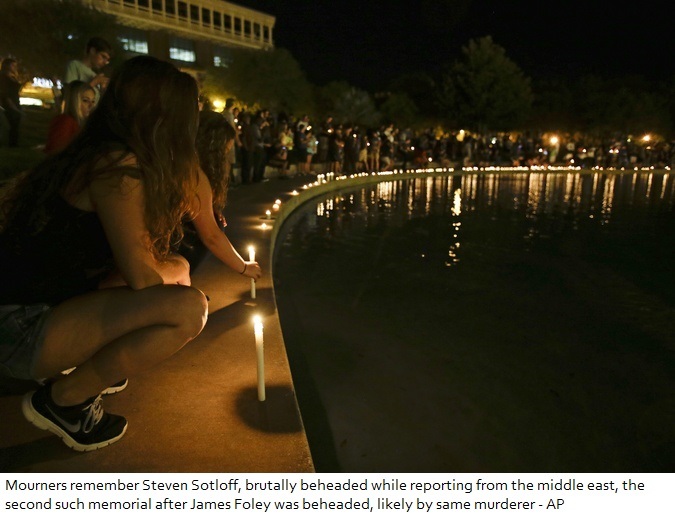 The attacks on journalists “look very much like murder,” Robert Fisk of The Independent reported (4/9/03). Al Jazeera has also been targeted prior to the Iraq War. During the U.S. invasion of Afghanistan in 2001, Al Jazeera’s Kabul offices were destroyed by a U.S. missile. In a report by the BBC’s Nik Gowing (4/8/02), Rear Admiral Craig Quigley, the U.S. deputy assistant defense secretary for public affairs, claimed that the compound was being used by Al Qaeda– a charge the news outlet strongly denied– and that this made it a “legitimate target.” The U.S.’s evidence? Al Jazeera’s use of a satellite uplink and its regular contacts with Taliban officials– perfectly normal activities for a news outlet. Whether the U.S. is deliberately targeting independent media, or is simply not taking care to avoid attacking obvious media targets, the failure to respect the protection afforded journalists under the Geneva Conventions is deeply troubling. Unfettered reporting from the battlefield is essential to bear witness to the realities of war. If it is a truism that truth is the first casualty of war, then surely the purveyors of truth are the second. While the actions of The Islamic State are barbaric, brutal, savage and ought to be condemned in the strongest possible terms, so too are the actions of the United States Government, who themselves are guilty of execution journalists using guns, bombing, firing of missiles. Unlike their predecessors, the Obama administration does not appear to have murdered any journalists but they are going after whistleblowers and truth-tellers using The Espionage Act as reported by Salon Magazine (see: Obama targets journalists, Salon.com). “While the Bush administration treated whistleblowers unmercifully, the Obama administration has been far worse. It is actually prosecuting them, and doing so under the Espionage Act — one of the most serious charges that can be leveled against an American,” writes Glen Greenwald an attorney with the US Government Accountability Project. This comes nearly two terms after President-Elect Obama, published his ‘Change Agenda’ in which he pledged to “Protect Whistleblowers”, citing this group as often a valuable source of information to counter fraud, waste, fraud, and abuse in government. Abuse of government is what high profile whistleblower, Edward Snowden was trying to prevent when he leaked documents on unprecedented spying and collection of information on civilians without legal warrant by the US National Security Agency (NSA). Many in the United states feel Snowden is a patriot if not a hero and deserves a Presidential pardon but hard-liners not only believe he should be prosecuted but they also want him put to death. In fact, several US lawmakers including Republican Congressman Mike Rogers and influential Democratic Senator, Diane Feinstein, say is guilty of treason, the penalty of which is death. Former head of the CIA, Director James Woolsey has even chosen the means of execution. 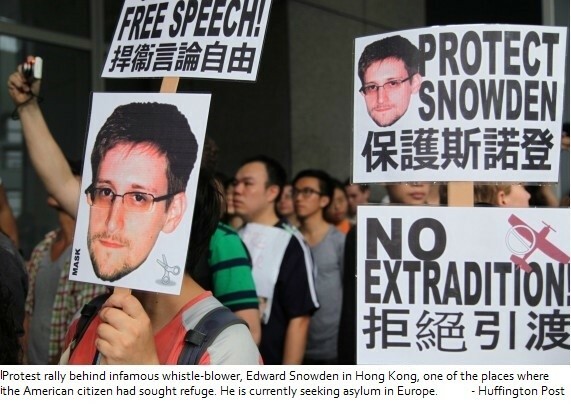 It is no wonder that Snowden lives in a secret location in Russia, and is actively seeking asylum in the European Union. Wikileaks, which famously exposed the American military targeting and killing civilians in Iraq, including journalists, in their own video footage, has also been targeted. The campaign to prosecute Julian Assange the now defunct organization’s controversial founder has been seen to be facilitated and incentivized by the United States intelligence apparatus while Obama has been president. Still, we fight on: the best way for journalists to honour the sacrifices of Sotloff, Foley, Pearl, Lloyd and others, is to continue to report the truth, even when it puts life and limb at risk – and even when the danger comes from one’s own people or government. This article used data and information obtained from The International Union of Journalists, The International Federation of Journalists, Reporters Without Borders, The Committee to Protect Journalists, Foreign Affairs, The Washington Post, Salon.com, change.gove (the office of then The President Re-Elect, Barack Obama) and The British Broadcasting Corporation. Insightful, exhaustively researched piece, but not exhausting to read, Wondurfully written analytical journalism! Terrific piece, if not terrifying for truth-tellers! Keep on, are doing an outstanding job.